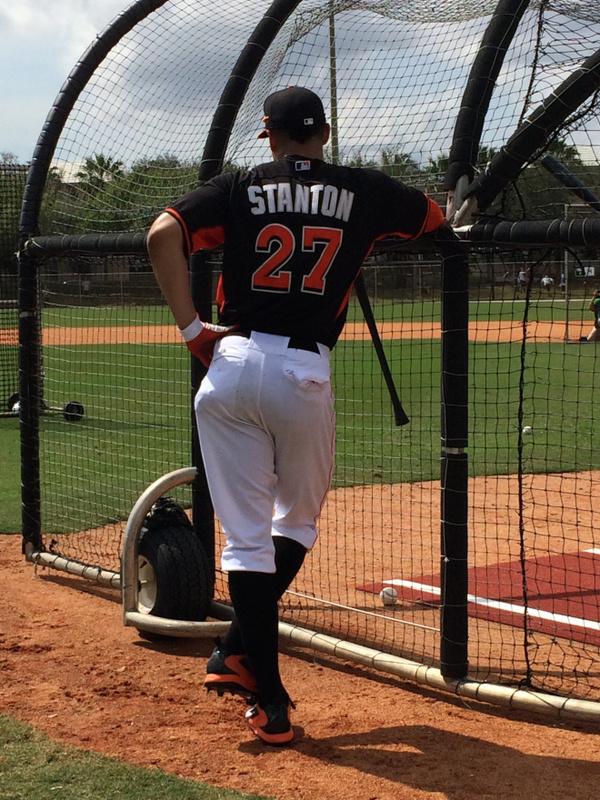 Stanton’s average 2014 home run traveled 415.3 feet. No major leaguer who hit more than 20 homers had a longer average distance. There were 50 home runs in all of Baseball that traveled at least 450 feet last season. Giancarlo hit 7 of them. 10 teams didn’t hit a single long ball that traveled at least 450 feet. No other team had more than the Giants’ 5 and the Blue Jays’ 4. The Angels, Dodgers, Cubs and Royals hit 3, and the Red Sox, Braves, D-Backs, Twins, Rockies, Brewers and Athletics hit 2. Previous PostOutfielder Juan Pierre Retires After 14-year MLB CareerNext PostGiancarlo Stanton was hit in the hip by a pitch during an intrasquad game today. Yes, he’s fine.